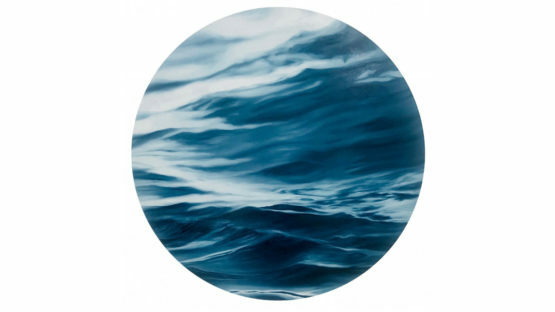 London based French painter, designer and maker Marine Édith Crosta is best known for her miniature tondi depicting stormy seascapes. Originally from the South West of France, her work has been tremendously influenced by the time she spent on the Atlantic Coast. She studied the Fine Arts and Psychology, two disciplines she still explores daily. Her work addresses the notions of intimacy and introspection and is always strongly inlaced to memories. After exhibiting in Australia, California, and various cities in Europe, as well as taking part in several Art Fairs, Marine Edith is now focusing on producing more painting works as well as new objects that are telling her story.